Antibodies, both polyclonal and monoclonal, are well established and versatile reagent tools for the study of a wide variety of biological functions and quantification of a host of analytes. They are also used as therapeutic drugs in their own right and are amongst the biggest selling therapeutics making significant difference to patients’ lives. This article will give you an insight into how careful planning and consideration can affect the quality of an antibody. You’ll also learn what key considerations for the generation and large scale production of high quality, optimized antibodies are and their impact. Read the full article. This article outlines the steps for polyclonal antibody production, discussing key animal species for immunization, the selection of an appropriate adjuvant system, effective immunization routes for antigen adjuvant administration and post-immunization monitoring. You’ll discover the five key steps of optimal pAb production and learn about the process/timelines related to the production of purified pAbs. Read the full article. The utility of antibodies as reagents is of paramount importance in research, diagnosis and clinical development. In this white paper, you’ll discover the principle considerations in purification strategies to eliminate antibody aggregates and gain insight into the scaling up production methodologies. Read the full article. This is a case study of a biomedical company who needed assistance in the development of a new diagnostic test to measure plasma levels of a protein known to indicate GDM development risk. You’ll gain insights on procedures for production, purification and testing as required for GMP production and learn about screening for and detecting gestational diabetes mellitus (GDM). Learn more. Get the first in a series of infographics, charting the history, production strategies and technology challenges faced when producing antibodies for research and manufacture. These resources provide insights collated from a long history in antibody production, with quick reference production strategies and useful reminders of the challenges commonly faced by researchers and production engineers. Learn more. More and more developers are utilizing antibodies to drive the development of tomorrows biotechnological breakthroughs. With a year-on-year growth rate of 12.3%, the market is now worth in excess of $7.5billion with new lifechanging antibody therapies and powerful reagent use driving continued uptake. From selection to purification, polyclonal antibody production must follow key steps to achieve antibodies with the purity and quantity needed for research and production. Learn more. Get the third in a series of infographics, charting the history, production strategies and technology challenges faced when producing antibodies for research and manufacture. 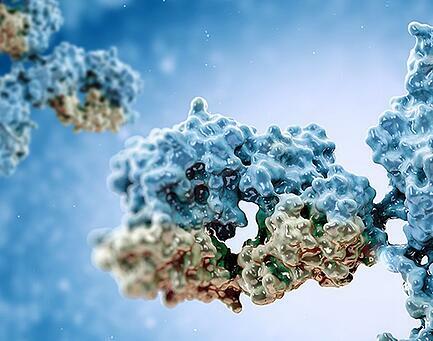 Antibody reproducibility is key to both research and assay development. Learn how time invested in the production of hybridomas yields key advantages for both researchers and producers alike. Learn more. This infographic highlights how upstream processing of promising cell lines to production readiness on hollow fiber reactors requires careful attention to detail. But get it right and they offer unlimited quantities of cost-effective, consistent, homogenized antibody production. Learn more.